Jim Rogers has over 15 years of experience as an applied statistician in the biomedical industry. He currently holds the title of Principal Scientist II at Metrum Research Group, where he leads a team of statistical modeling and simulation scientists. 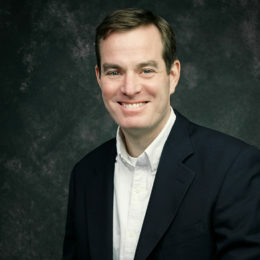 Prior to joining Metrum Research Group, Jim was an Associate Director of Statistics at Pfizer Global Research and Development, where he was the statistical lead on numerous clinical and preclinical projects in neuroscience. In 2008, Jim joined Metrum Research Group in order to work in closer collaboration with quantitative biologists and pharmacometricians. From a methodological perspective, Jim has been especially active in longitudinal modeling of constrained responses (e.g. cognitive rating scales in neuroscience), simulation-assisted design of dose-ranging trials and trials with adaptive features, and technologies for dynamic / interactive statistical support.